The new Allegro 3 Rugged Handheld is the first rugged mobile handheld by Juniper Systems to utilize the Android operating system. It improves upon the successful rugged mobile computer formula employed by Juniper Systems with a faster processor, upgraded memory capacity, 4G LTE capability, and the Android 7 operating system, nicknamed Nougat. The Allegro 3, rated IP68, utilizes a 1.2 GHz Cortex A9 processor and 2 GB of upgraded RAM with greater speed and stability, optimizing the device for faster data transfers and program and file load times. The ergonomic shape, 4.2-inch high-visibility capacitive display, and backlit QWERTY keyboard were popular features carried over from its predecessor, the Allegro 2 Rugged Handheld. An intelligent new 12,000 milliampere-hour lithium-ion battery, optimized for extreme temperatures, powers the Allegro 3 for 20 hours on a single charge. Other changes include 16 GB of flash memory, which is double the capacity of the Allegro 2, and Smart Ready Bluetooth with a range capable of reaching greater than 100 feet (30 meters). “Juniper Systems’ core business is rugged data collection devices, and the Allegro 3 builds atop a quarter-century of experience to give our customers the best Allegro device yet,” Labrum said. 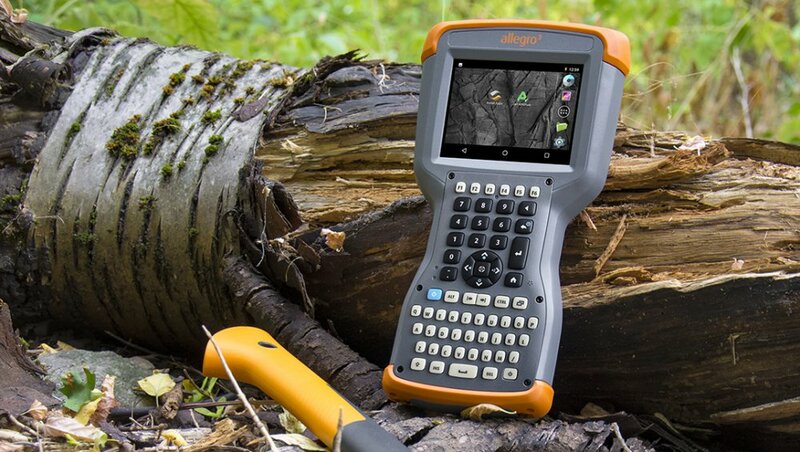 The Allegro 3 runs Android 7, nicknamed Nougat, making it the first rugged handheld by Juniper Systems to feature an Android operating system. Android 7 boasts the familiar user-friendly interface that positions Android as the global leader among smartphone operating systems. It packs new features that strengthen the user experience. Android 7 includes quick access to simultaneously running applications with a double tap on the 4.3-inch Allegro 3 display, a sleep mode called Doze that saves power when the device is in transit, and customizable quick settings that put useful features within reach at all times. Updates to Android security make the Allegro 3 safer and smarter with file-based encryption that keeps data secured and background software updates. In addition, Android 7 opens up the Allegro 3 to a vast digital marketplace of applications for work – moving mobile data collection on Juniper Systems’ rugged handhelds to an established global platform. The upgraded processor on the Allegro 3 pushes rugged mobile data collection to new heights – and speeds. The 1.2 GHz ARM Cortex A9 i.MX6 processor is a 20 percent increase in speed over the Allegro 2. The Allegro 3 features upgraded memory and storage capacity, including 2 GB of enhanced RAM – four times the RAM of the Allegro 2. The optimized RAM provides speedy data transfers and load times. Flash memory received an upgrade, too. The Allegro 3 offers 16 GB of flash memory, double the size of the Allegro 2. More memory allows users to do more work and bigger projects on the Allegro 3. The Allegro 3 integrates 4G LTE connectivity capable of download speeds up to 150 Mbps, boosting data transfer speeds in the field. Local connectivity on the Allegro 3 received an update with new Smart Ready Bluetooth 4.2 that sips energy and easily connects with Bluetooth devices. Well-established features that make the Allegro series from Juniper Systems an industry favorite remain on the Allegro 3. The full backlit keypad – optimized for rapid data entry – returns on the Allegro 3 and so does its classic ergonomic shape, capacitive touchscreen with chemically strengthened scratch-resistant glass, and high-visibility backlit display. Also returning on the Allegro 3: High-accuracy GPS from a 72-channel u-blox M8 engine with SBAS corrections and user-programmable buttons. The Allegro 3 is every bit as rugged, too. Rated IP68 and MIL-STD-810G, the Allegro 3 is dustproof, waterproof, and shockproof. It works in temperatures between -22 and 140 degrees Fahrenheit (-30 to 60 degrees Celsius). A new 12,000 milliampere-hour intelligent lithium-ion battery runs the energy efficient Allegro 3 for up to 20 hours on a single charge. The battery – optimized for hot and cold temperatures – charges within 5.5 hours. It can be swapped in the field. The Allegro 3 includes a 5-megapixel camera with LED illuminator, autofocus, and video capture. The Juniper Geotagging application embeds photos with the date, time, and GPS position of an image. Popular data ports remain on the Allegro 3 for a variety of connection types: 3.5-millimeter audio jack, USB port, micro USB port, and 9-pin communication port. These ports do not require the rubber cover to maintain their waterproof and dustproof seal.